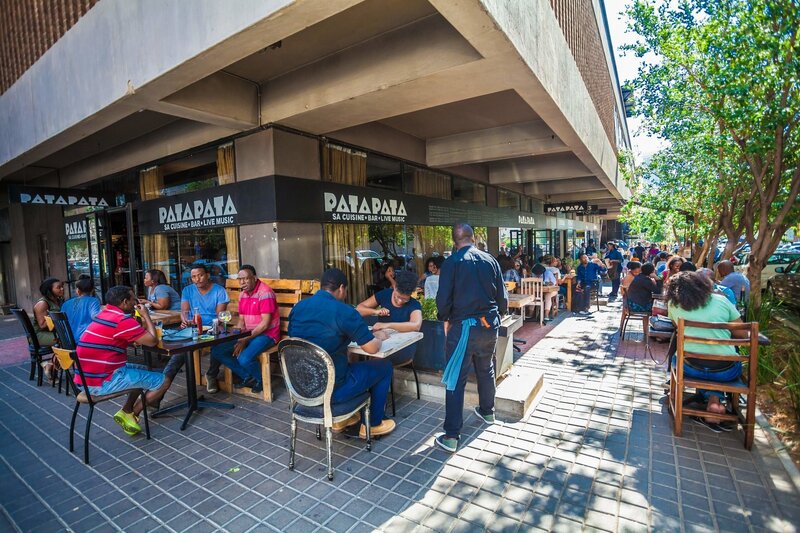 The best way to get to know Joburg is to hang out with an insider. In our Ask a Local series we chat to some of our favourite Joburg city people to get the lowdown on what makes Joburg unique. 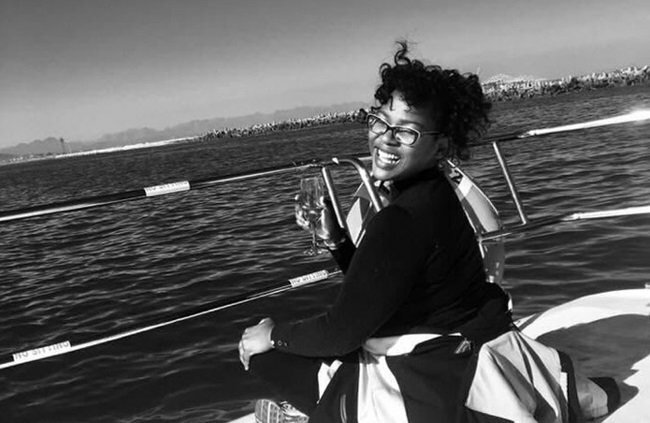 This week urban planner Zinzile Seepie Goba gives us her take on the city. ZINZILE SEEPIE GOBA is an urban enthusiast. 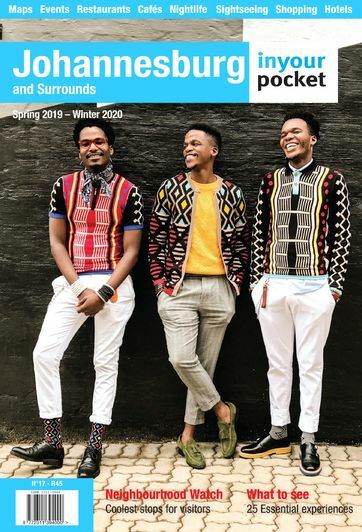 She loves all cities – "the clean ones, the dirty ones, the old ones, the new ones" from San Francisco to Rotterdam ("the Beyoncé of all cities"), and of course, Cape Town and Joburg. Zinzile spends her time thinking about how cities work, from accessibility and layout, to sustainability and maximizing the health and wellbeing of its occupants. Her life's work is to not only imagine what building blocks make the ideal modern city, but then to actually build it. With a degree from Erasmus University in the Netherlands, where she specialised in Urban Housing and Livelihood Strategies, Zinzile returned home to South Africa and is now Head of Precinct Strategy at Divercity Urban Property Fund, a Gauteng-based property development fund that is behind the city's biggest single investment – a R2-billion reinvention of Jewel City, a dense section of the city between Maboneng and the Absa precinct that was formerly home to the city's diamond trade. 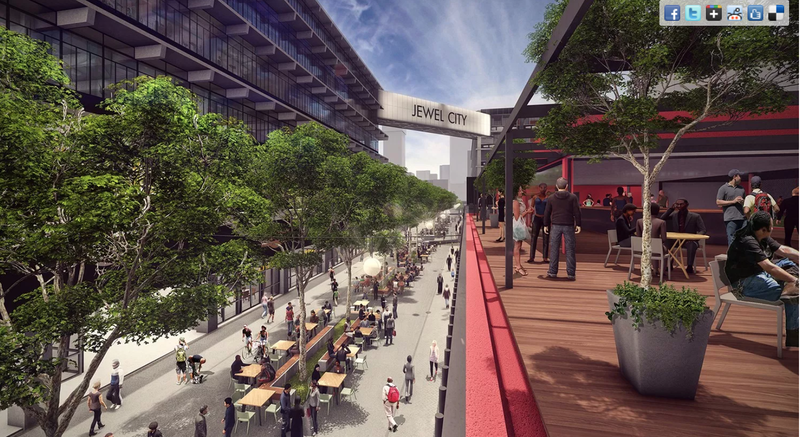 The diamond dealers have moved on and the massive fortress-like space that covers a few city blocks and it's grimy surrounds is set to house a fresh new urban lifestyle along Fox Street which will extend an east-west pedestrian passageway through the city. We caught up with Zinzile to talk all things Joburg. I love how free people are in Joburg. You see it in the way people walk, talk and be. I love the beauty of humans in Joburg. Last year I worked in Cape Town, and everyone used to joke about how friendly Joburgers are. You wouldn't expect it, what with the hustle and bustle of this amazing city. Everyone is busy, stressed and always on the go, but it's like we all know that we are Africans and we somehow embrace a Neo-Ubuntu which governs our self-expression, fashion, ambition and how we treat people. Soweto! OMG! There is nowhere on earth like it. The character of each neighbourhood is different. There are some good people there. KZN (KwaZulu Natal), but that's a story for another day. Maboneng for sure! Constitution Hill and Melville's Bambanani. Just do it, it's amazing. How open and kind people are over here. 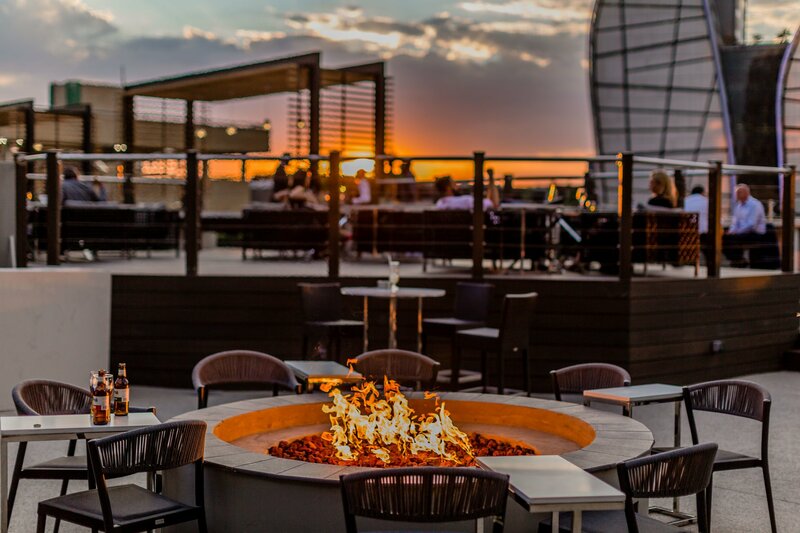 The San Deck at Sandton Sun, a Sandton rooftop bar. I love the feeling of being on-top of the world. I had my thirtieth birthday party there, it was epic. I'm a flea market girl with a taste for tie-dye, Hamsas and Mandalas. Anywhere my family and I can walk, meet new people, eat ice-cream and support local traders is game. Pata Pata​ (in Maboneng) the music and live performances are insane. Mike's Kitchen in Parktown has the best burger ever! It's got jalapeno, cheese, and the freshest beef patty ever. I don't eat a lot of red meat, so when it tastes good, I remember. Definitely Maboneng, you can walk the streets, listen to good music and eat something yummy. If you could buy any Joburg building which would it be? There is a building on Marshall Street, opposite a park. It's pretty run down, but I know with the right investor it could be developed into a place where children could play until they drop. It looks like a castle. I always imagine cleaning it up, planting bright pretty flowers all over and building huge swings and slides into it. I would turn it into a mini-Disneyland play park. At the Rietvlei Zoo in south Joburg. We do a Park Run there on Saturdays at 8:00. Top tip for a first-time visitor to Joburg: Trust your gut. If you didn’t live in Joburg, where would you like to live? Anywhere close to Joburg, so Tshwane or Ekurhuleni. The new development Jewel City that's coming up soon; right next to Maboneng. 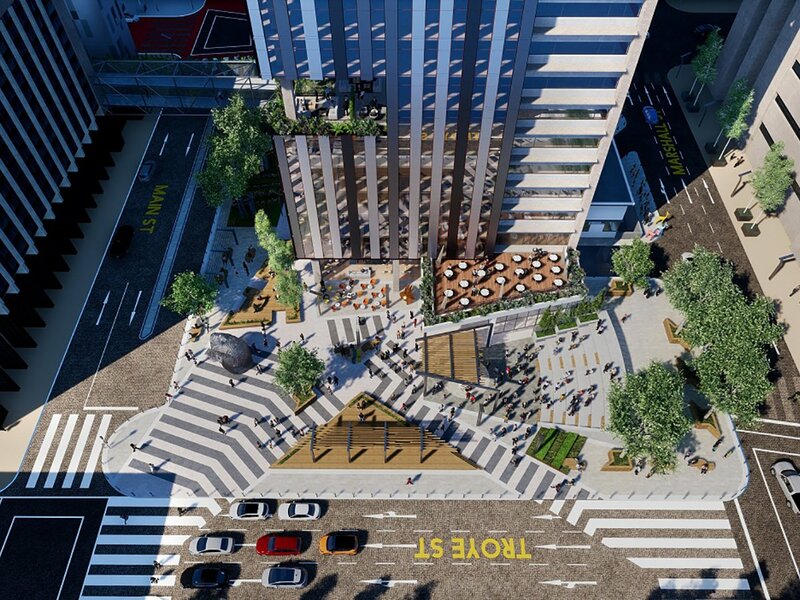 It is going to have affordable housing, beautiful open spaces, major retailers and some amazing street art. I would take my sons to Gold Reef City Amusement Park, we would eat cotton candy, hot dogs and drink tons of water. Our day would start super early and we would ride every ride that their heights can get them onto. That they are not afraid of work. You have to work hard to be a Joburger, but you must love and connect even harder. Best things about Joburg: The history and culture. Worst things about Joburg: Crime and grime. Three words that describe this city…. Hustle, bustle and home.